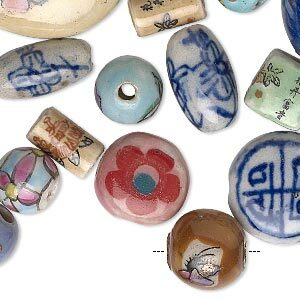 Bead mix, porcelain, multicolored, mixed shapes. 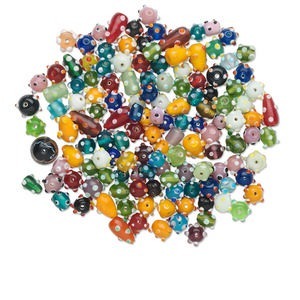 Sold per pkg of 1/4 pound, approximately 35 beads. Shapes can include frog, mouse, cat, cow, rounds, vases, tubes and more. 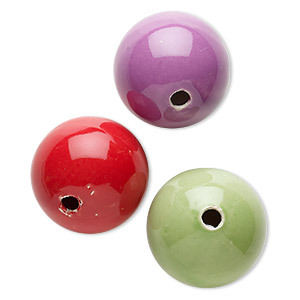 Colors can include red, yellow, green, white, pink and more. Package contains approximately 35 beads. 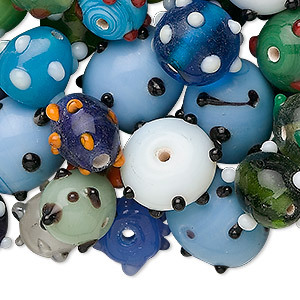 Bead mix, glass, mixed colors, 2-16mm mixed shape. 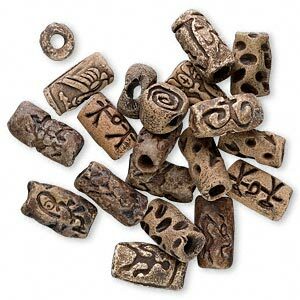 Sold per 1/4 pound pkg, approximately 150-400 beads. Minimum 2 per order. 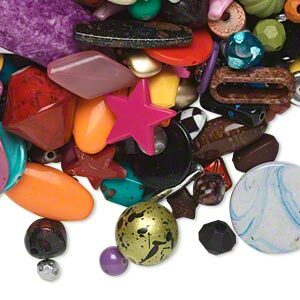 Bead mix, acrylic, mixed colors, 4mm-50x44mm mixed shapes. Sold per 1-pound pkg, approximately 1,400 beads. 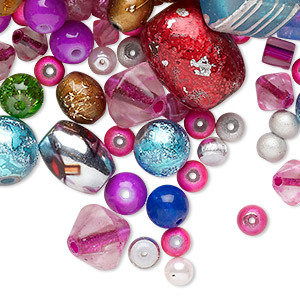 Bead mix, acrylic, multicolored, 5x3mm-76x24mm mixed shapes. Sold per pkg of 2 pounds. 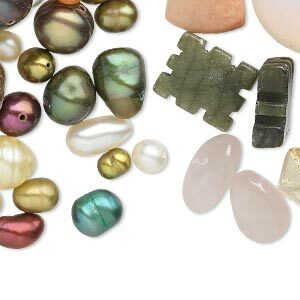 Bead mix, cultured freshwater pearl / multi-gemstone (natural / bleached / dyed) / glass, 4x3mm-39x27mm mixed shapes. Sold per pkg of 1 pound, 1/2 pound of beads and 1/2 pound of pearls, approximately 390 beads/pearls. 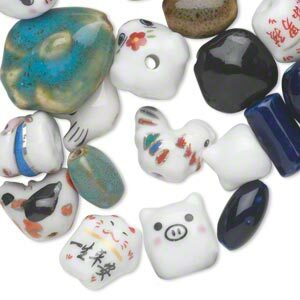 Bead mix, glass, mixed colors, 8mm-24x11mm mixed shapes and designs with 0.4-2.8mm hole. 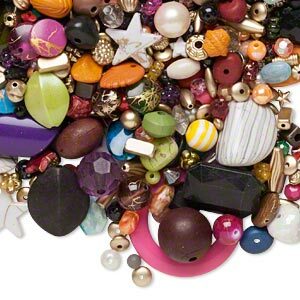 Sold per 1/2 pound pkg, approximately 140-150 beads. 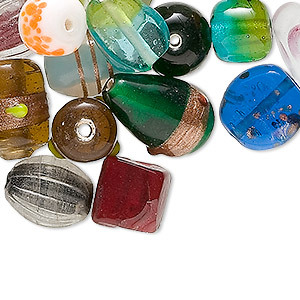 Bead mix, lampworked glass, multicolored, 8x7mm-22x12mm bumpy. Sold per 1/4 kilogram pkg.